The 2014 season was a good year for the American boys with multiple players reaching the finals of Junior Grand Slams, Grade A, and G1 tournaments and claiming a fair share of the titles. Several players extended their success into the pro circuit and will look to continue testing themselves against the pros in 2015. Below are my list of 10 American prospects to watch out for in the upcoming season. 2014 Highlights: The 2013 Kalamazoo Boys finalist won three straight futures titles in 2014 (1 Clay, 2 Hard) in Turkey and USA, respectively. Donaldson qualified for his first ATP main draw at the Citi Open in Washington D.C. this past summer. He also reached the quarterfinals of 100K Sacramento Challenger and semifinals of the 50K Challenger in Napa Valley. The lanky 18 year old received a wildcard into the US Open and debuted against World No.24 Gael Monfils. He jumped 471 ranking spots to 260 and with a small fraction of points (35) to defend until June, he looks to continue the climb. If the Taylor Dent's pupil can improve his serve percentage and learn to control his temper, there's no reason he can't go far. 2014 Highlights: Like his former Junior Davis Cup teammate, Donaldson, the hard hitting Californian spent most of 2014 in the pro circuit. This year he failed to final at the futures level after reaching two the previous season. He did managed three semifinal appearances before moving up to the Challenger field. 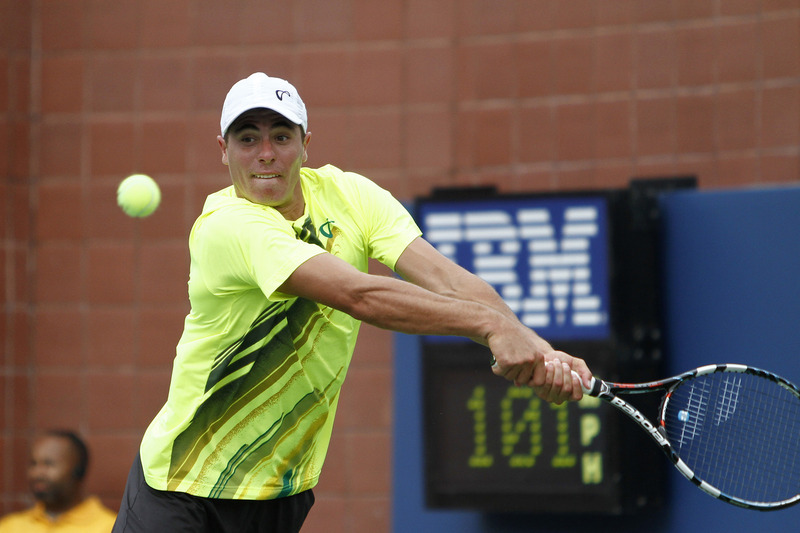 Escobedo won his first challenger match at the 50K Binghamton, where he advanced to the quarterfinals. At the US Open qualifications, he made good use of the wildcard defeating former Top 100 player in Somdev Devvarman (IND) and James Duckworth of Australia (ATP 154). In the final round, he struggled with shoulder injury and fell to World No.109 Facundo Bagnis (ARG) despite serving for the 1st set. 2014 Highlights: The former World Junior No.2 had a great 2014. The 16 year old reached the finals of Junior Australian Open and Junior Wimbledon. He finally won his home tournament, the prestigious Orange Bowl, after four finals. The steady all-courter won a qualifying round at the US Open before falling to fellow teen sensation and winner of ATP Star of Tomorrow Award, Borna Coric, in three sets. Later in September, Kozlov became the youngest American to reach a challenger final since Andre Agassi and Michael Chang. He defeated Ryan Harrison, John-Patrick Smith, Rhyne Williams, and Tim Smyczek before falling to American No.2 Sam Querrey at the 100K Sacramento Challenger. 2014 Highlights: Rubin reached a career high ranking of Junior No.6 back in 2013, but played only three junior tournaments this year. He won two, Wimbledon and the USTA National Championships at Kalamazoo. The feisty John McEnroe's protege reached his first futures final in Poitiers, France and later in Vic, Spain. Rubin made his ATP debut at the Winston-Salem Open via a wildcard courtesy of Wake Forest University, where he is now playing college tennis. I was there to witness the three set loss to fellow American Bradley Klahn (ATP 117). Klahn was not 100%, but Rubin showed his skills and competitive nature; he gave his opponent all he can handle. As National Champion, Rubin automatically received an US Open MDWC. He made his debut against Federico Delbonis (ARG). During the US Indoor Swing, he qualified and won his first challenger match at 50K Champaign. 2014 Highlights: For the second year in a row, Michael Mmoh finished the year inside the ITF Top 10 Junior Ranking. After a lackluster first half, he reached the semifinal of Kalamazoo, won the GB1 Pan American ITF Championships and GA Albierto Juvenil Mexicano (where he upset World Junior No.1 Andrey Rublev of Russia). Mmoh advanced to the final of the Eddie Herr International Championship, held at IMG Nick Bolletieri Academy where he trained for the past four years. In September, the 6'2" right-hander helped Team USA to the Junior Davis Cup Crown. The IMG student, who was often compared to Gael Monfils for his physical attributes, also saw success at the pro level. He made his first futures semifinal in Mansfield (Texas) and in his next tournament also in the Lone Star State, he claimed the 15K Brownsville title to become the second youngest American futures champion. 2014 Highlights: The biggest surprise for me was the emergence of Taylor Fritz. After watching the big hitting Californian with a booming serve several times this year, I expect big things in the future. Last year, Fritz didn't play many international tournaments but it changed after convincing his former WTA Top 10 mom, Kathy May, to allow him to be home-schooled. 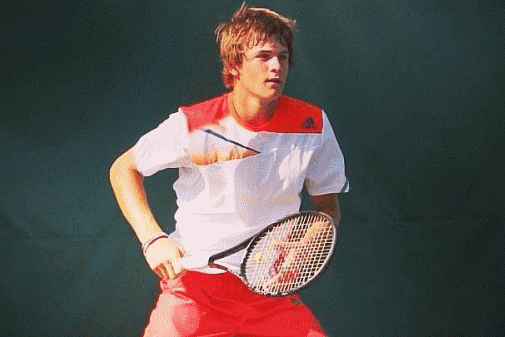 The move paid off, Fritz finished 2014 inside the ITF Junior Top 10 at No.6. During the summer, he reached the semifinals at G1 Roehampton and Junior Wimbledon. Later, he lifted the GA Osaka Mayor's Cup in Asia and conquered the red clay of Yucatan Cup beating Andrey Rublev to take the G1 title. The victory was huge and a confidence booster as clay is his least favorite surface. In the pro circuit, the 17 year old made two futures quarterfinal showings in California. And in his US Open men's qualifying debut, Fritz lost to 32 year old veteran Jan Mertl (CZE) in three sets. 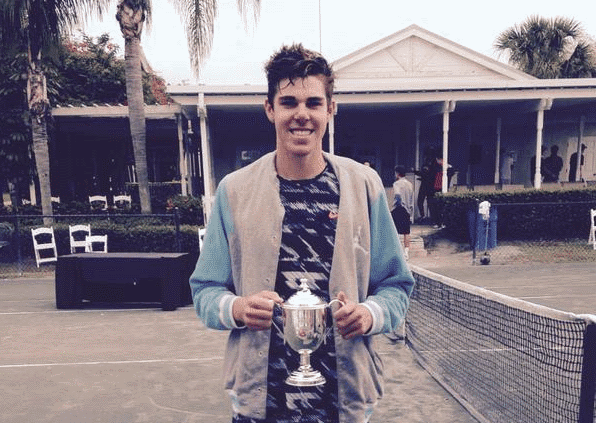 2014 Highlights: The 16 year old JTCC's product made a name for himself last year after capturing the Orange Bowl to become the youngest winner of the event's history. In 2014, he limited himself to seven junior tournaments winning the GB1 Easter Bowl and reaching the quarterfinal of Wimbledon and semifinal of the US Open. The former World Junior No.2, whose defensive ability is a reminiscent of Gael Monfils, made three futures quarterfinals this year. He won a qualifying round at ATP Atlanta before falling to Michael Venus (NZL) in a 3rd set tiebreak. He was granted a MDWC into his home tournament, Citi Open in Washington D.C., a 500 level ATP event (l. Evgeny Donskoy of Russia). At the US Open qualifications, Tiafoe pushed Tatsuma Ito (JPN, ATP 126) to three sets. 2014 Highlights: It won't be long before the 17 year old overtakes John Isner as the tallest American and the comparison is inevitable. Ending the year on a high note, the 33th ranked ITF junior is already ahead of Isner at the same age. In 2014, Opelka won the G1 International Hard Court Championship in College Park, MD. He also picked up another G1 trophy, this time on the Har-Tru clay court of the Eddie Herr International Championships. There, he defeated local favorite Michael Mmoh in straight sets. The following week, Opelka lost a three setter to Stefan Kozlov in the semifinal of the Orange Bowl. The big server who hailed from Chicago, but is currently training at the USTA headquarter in Boca Raton, had success at the pro level as well. He reached three futures quarterfinals in 2014 (1 hard, 2 clay). 2014 Highlights: Another 18 year old Californian who spent majority of 2014 playing the pro circuit. During that time, he reached four quarterfinals and recorded his first semifinal at the 15K Brownsville, Texas. The 2013 Eddie Herr semifinalist was given a wildcard into the ATP Masters 1000 Miami's qualifying draw where he lost to World No.100 Victor Estrella Burgos (DOM). 2014 Highlights: The outspoken 17 year old who trained with the USTA the last couple of years, played a mixture of juniors and futures events in North America. His junior matches against top players were competitive, but several times he found himself in the loss column from match points up. Paul won the 2014 USTA Boys' 18s National Clay Court Championships over training mate Reilly Opelka, the same tournament he won a year ago in the 16s division. 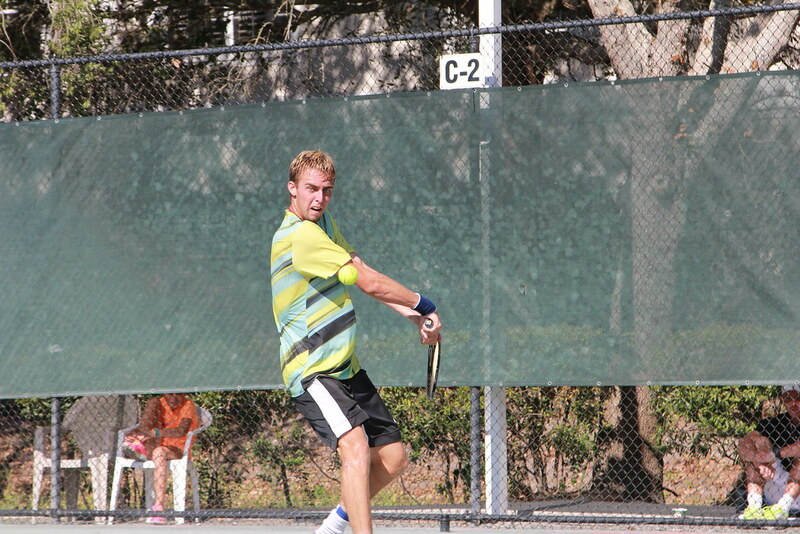 In the pro circuit, the 2013 Kalamazoo Boys 16s Champion made four trips to the futures quarterfinals and had one appearance in the semifinals of Niceville, FL. MacKenzie McDonald, Collin Altamirano, Spencer Papa, Martin Redlicki, and Thai-son Kwiatkowski. This group of 1995 collegiate players may not see much pro time until summer, but expect to hear some noise in the NCAA. Tennis enthusiast. Patriotic American fan. Enjoy following junior tennis. Rhyne Williams is my favorite player. Julia Boserup advances to the $25K Raleigh final after a bizarre match, plays Samantha Crawford for the title.